These photographs will give you an idea of just how much bulk liquid transport has changed over the last hundred years. Despite all the changes, Transportes Martín has been able to adapt with the times and maintain its position as sector leader. 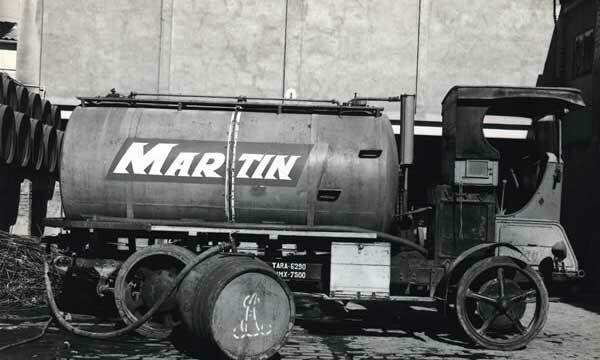 Without a doubt, this is largely due to the work of our founder, Antonio Martín Ibáñez, who since establishing Transportes Martín in 1925, knew how to instil this philosophy of ongoing improvement in the company. 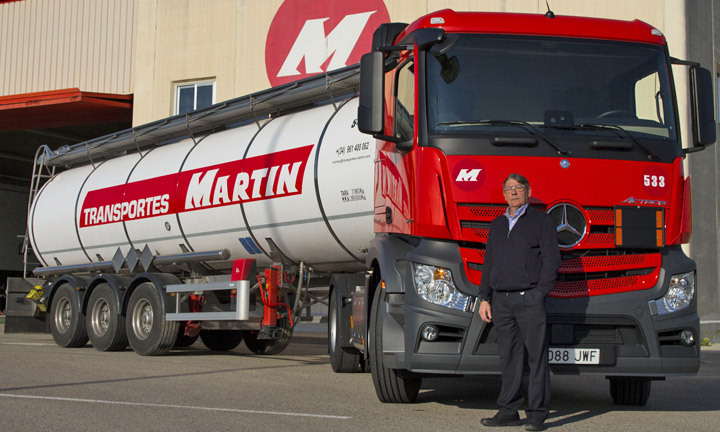 Antonio Martín Ibáñez was a man with a vision who turned his company into Spain’s pioneering bulk liquid tanker truck transport company. 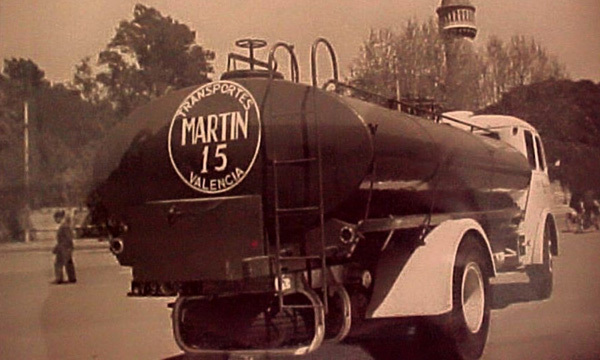 Little wonder then, that for forty years Transportes Martín enjoyed a reputation as the leading food liquid transporter in Spain (in wines and oils in particular). 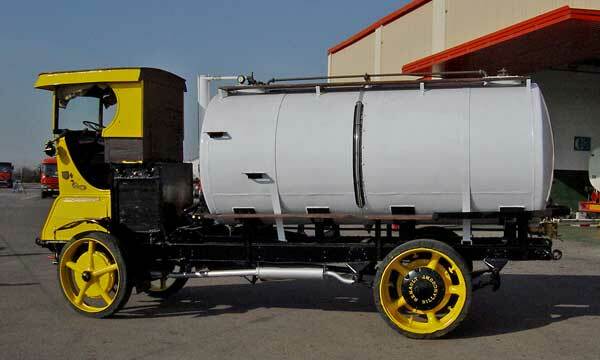 In the 1960s, the company’s focus was reoriented, and greater emphasis was placed on the transport of bulk liquid chemical products, which today represents our main source of business. Today, the company is still managed by the Martín family (4th Generation), which began diversifying the services offered by the company as well as to create new operating divisions to monitor the transport and distribution of chemical products, fuels and cryogenic liquids by road. The Ministry of Labour grants Antonio Martín Ibáñez, founder of Transportes Martín, a Silver Medal of Merit, with an Oak Wreath, for Labour. The company receives the Bronze Medal of Merit of Civil Defence. Ford Cars, the multinational automobile company, awards Transportes Martín with the “Excellent Carrier Award”. Chamber of Commerce Award given by the Valencia Chamber of Commerce. 75th Anniversary of Transportes Martín. The Ministry of Labour gives its Gold Medal of Merit for the work of Federico Martín Pescador, President of the Company’s Board of Directors. The new TRADILO INVERSIONES headquarters is opened in the El Constantí Industrial Park in Tarragona. The Andrés Mira Award for transport and logistics from the Valencian Federation of Transport Companies. The company celebrates its 25th year working with PRAXAIR, a firm specialising in the transport of refrigerated liquefied gases. Transportes Martín joins the ECTA Responsible Care programme as part of its commitment to ongoing improvement and social progress. Transportes Martín receives recognition from IBERMUTUAMUR for its commitment to and effort made in improving work conditions, occupational health and safety, and also for having accident rates far below the sector average. Transportes Martín celebrates its 90th anniversary. One of our customers, INOVYN, recognises Transportes Martín as a CLASS 1 supplier (the highest distinction among its suppliers) for its commitment and results in quality and safety for the services it offers. All of these awards fill us with pride and allow us to re-affirm our motto: “Any company which does not pursue innovation in business ideas and work methods cannot expect a secure future”. Almost a century as leader in the chemical liquid transport by road. A century in snapshots. 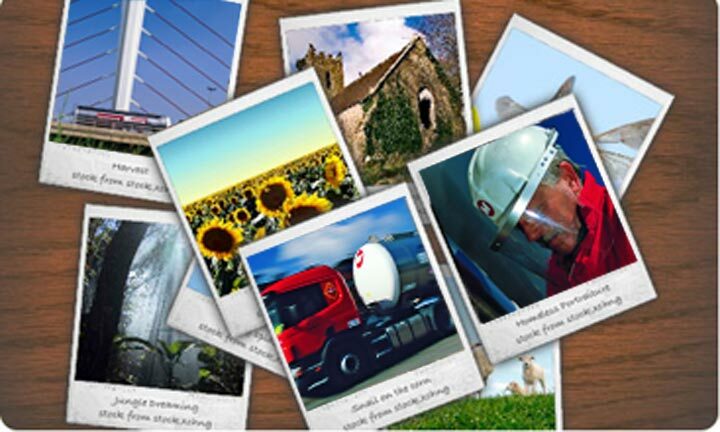 Our long trajectory as leader in the chemical liquid transport sector, in photographs. 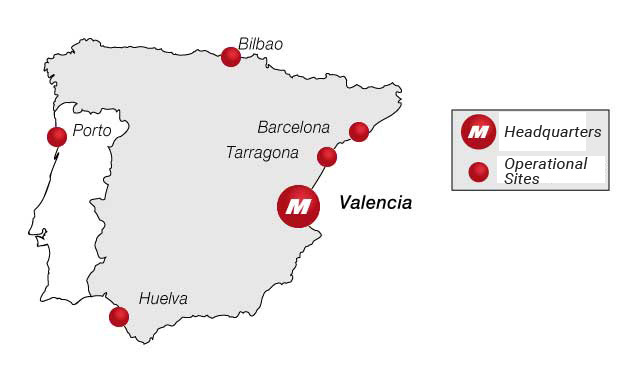 We enjoy operational locations which are strategically located throughout the Spanish peninsula to offer the best logistic service to all of our customers.